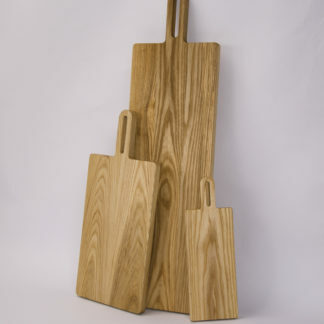 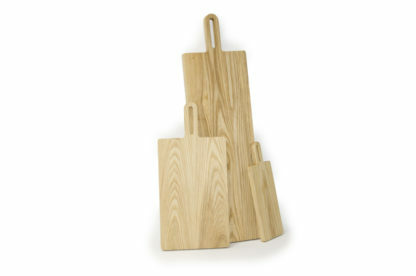 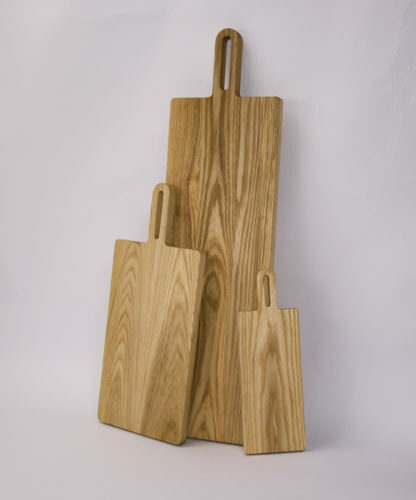 These chopping boards are designed so that they can be hung on the wall, if counter space is at a premium. 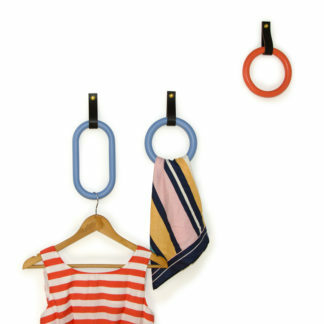 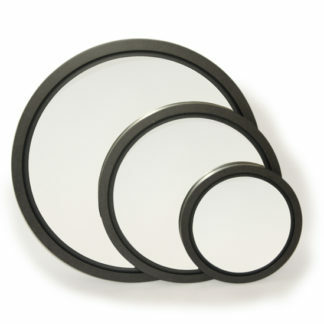 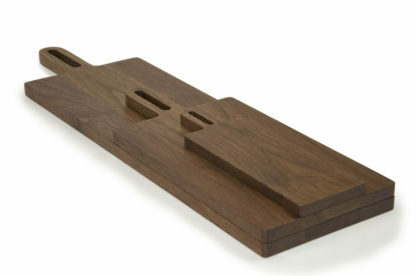 The ergonomic handle allows them to be easily lifted and used as serving boards. 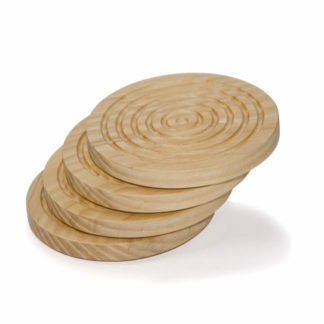 Made from solid hardwood timber, these are designed to last a lifetime. 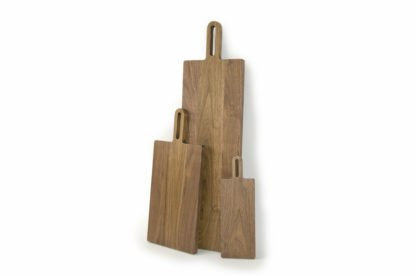 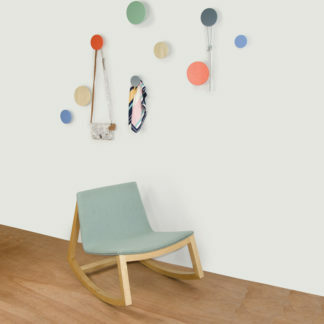 Available in both Ash and Walnut, these come in 3 sizes to suit your needs.